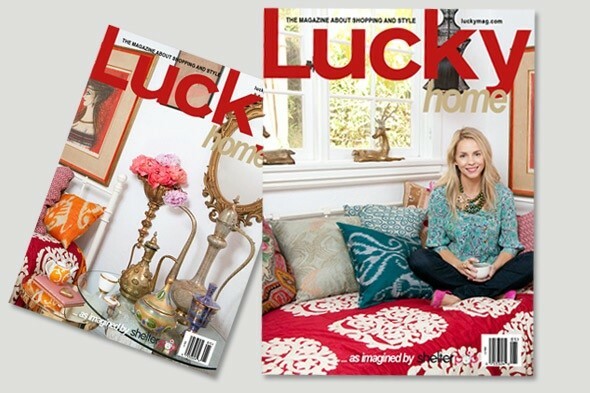 Design Plus You: Lucky Magazine to Launch "Lucky Home" and "Lucky Kids"
Lucky Magazine to Launch "Lucky Home" and "Lucky Kids"
I'm happy to report that Lucky Magazine announced earlier this year that they will be coming out with an extension of their already popular fashion magazine and branching out into home decor and kids apparel. Aptly named Lucky Home and Lucky Kids, these additions to the newsstand will most likely expand on the shopping reports, city guides, organizational methods, and trends that are already covered in the fashion issues. As excited as I am to hear about the expansion into other areas however, it is also being reported that they will no longer be exploring "mid-range" fashion (budget friendly options). One of the best qualities of the magazine was that it was relatable. It dealt with fashion that anyone could acquire and create their own looks from. I hope they won't stray too far from there original concepts. We shall see!